How many of you spend time hunting for fun things to do in and around your own hometown each weekend? For me, this is called a “Hometown Hunt” and it’s something that my husband and I love to challenge ourselves with. We like to make our weekend plans well before the weekend actually comes (Thanks to me, the avid planner) so we will start discussing our next weekend by Sunday evening. As most of you already know, we live less than 10 minutes from Fort Walton Beach so we are in a super touristy area. (Yes, “touristy” is a word I made up). Anyway, so of course we have plenty of different beach options and all of the usual coastal town activities like fishing charters, paddle boarding, Dolphin tours, snorkeling and tons of museums. But what do we do for Fall? We have tons of fun, festive Fall activities here in NW Florida as well, so I thought I might share some of them with you! 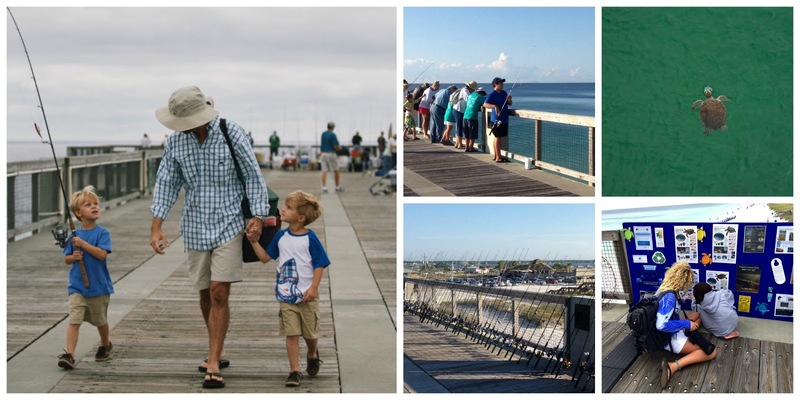 One of the most awesome things that our area hosts each Fall is the “Take A Kid Fishing Day” that happens at the Navarre Beach Pier. It usually happens around the first of October and it is a completely free event where everyone is invited and encouraged to come out and fish. But the focus is on teaching the kids about the importance of safe fishing and safe catch and release practices. The first 200 children also get a free fishing pole, t-shirt, sunscreen and a bottle of water. And everyone can take advantage of free fishing lessons and different educational stations that will be set up along the pier. This event has a great turn out each year with many locals and visitors all enjoying it. Then we have the traditional Pumpkin farms to visit as well. Sweet Seasons farms is the most popular with the locals. I haven’t actually been to this one myself but I plan on going soon because this is the 50 Year celebration of “It’s The Great Pumpkin, Charlie Brown” and the Sweet Seasons farm is celebrating this fun milestone as well. 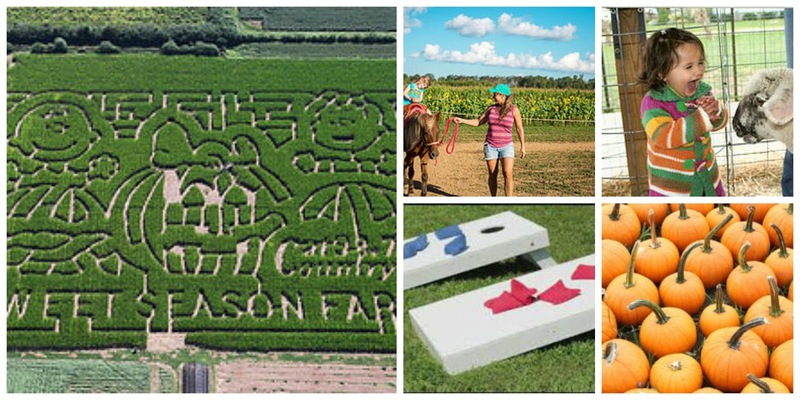 Activities here include the corn maze (pictured above), hayride, corn cannons, corn hole, pumpkin bowling, the sunflower speedway (go carts), pony rides, barnyard petting zoo and lots more. And they even have a gorgeous field of sunflowers that would make a perfect place to take family photos! This next one you can enjoy year round but my husband and I prefer to enjoy these types of activities in the Fall once the weather has cooled off a little. 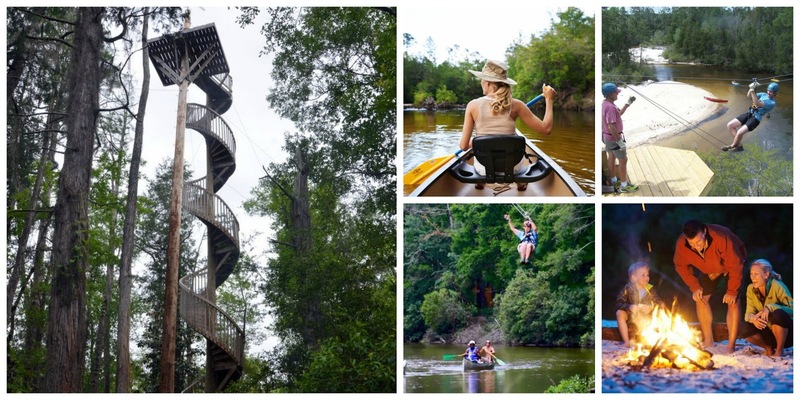 Adventures Unlimited has everything from rustic cabin rentals, zip lining over the tree tops, to kayaking and paddle boarding on Coldwater Creek. Most of the cabins have outdoor fire pits to enjoy an evening under the stars and fireplaces so you can cuddle with your love on chilly evenings. And their cabins range form super rustic with no indoor bathroom facilities to more modern cabins with full kitchens and deluxe master bedrooms and baths. I think a weekend away in one of these cabins sounds perfect for a little Fall get away! You can’t visit Navarre Beach and not go to Juanas! So why not come in October and enjoy Oktoberfest! Not only can you taste beers from all around the world, but you can enjoy some if the best views around on the bay. The tiki hut bar is one of our favorite spots to have a cold drink and watch the sunset at. Then you can head on over to the Sailor’s grill for a nice dinner by the water. Juana’s has tons of fall festivities as well, with everything from regular live music concerts, to Corn Hole and Volleyball tournaments, to Wine tasting and a huge yearly Halloween Costume party. This spot is a local favorite and one that I would highly recommend to anyone. 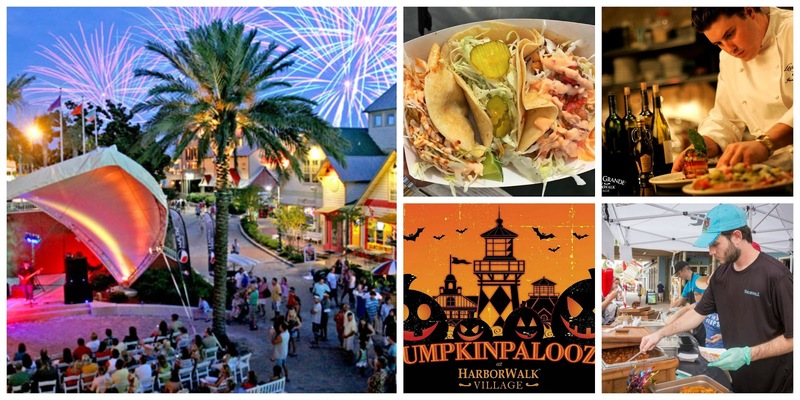 One place where you can always find something fun to do is The Harborwalk Village in Destin. They have jam packed their Fall schedule with lots of great things to do. 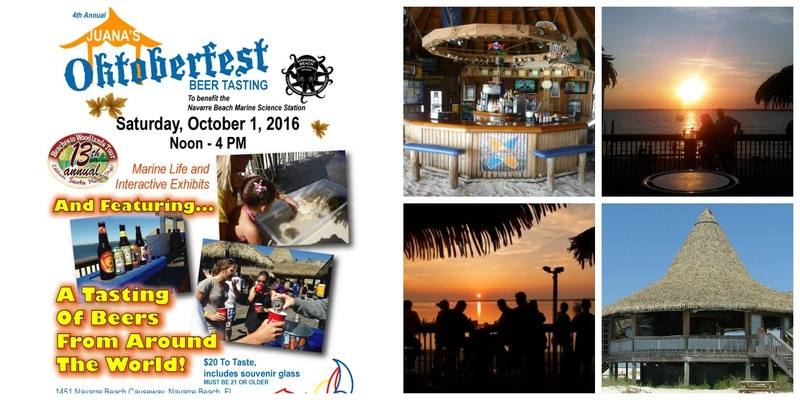 Their is the Destin Seafood Festival that is the first weekend in October. Fish the days and Rock the Nights concert series. This event let’s anglers compete in the ultimate fishing tournament and then in the evening you can watch all of the days catch being brought in and afterwards there is a fireworks celebration. This goes on every weekend during the month of October. They also have a great “Pumpkinpalootza” Halloween party on October 29th and 30th. It begins with a live concert, then there is an adult ghoulish costume contest and then fireworks at 9Pm. Then on Sunday it os more catered towards the kiddos with lots of fun, family activities that include arts and crafts and even a pets costume contest. And of course the kids can trick or treat at all the shops along Harborwalk Village that day. There is no admission cost but I would recommend arriving early because these events get really crowded and parking is not always easy to find. See, our little beach towns do have plenty Fall activities! Are you planning on hosting some type of activity in your own hometown? If so, then I would recommend using EventBrite to help you sell tickets to your event. This is the best way to sell your tickets online. And your event doesn’t have to be huge to use their services either! So check out their website today and see if they might be a good fit to help you with your own event or festival. I hope that if you ever get a chance to visit the gorgeous gulf coast that you won’t forget how amazing it is here in the fall as well. And like I’ve mentioned in the above post, I promise you there is still plenty to do here in the fall. If you have any questions about any of these events feel free to leave them in my comments and I will be happy to answer them for you! I love the Gulf Coast! There's always something neat and interesting going on. My mother in law was just telling me about how much she loved going to the Shrimp Festival in Gulf Shores, AL. Fall festivals are so much fun. My town has an Oktoberfest, and my husband and I are going this weekend! Looks like you'll be having lots of fun this fall! Love all the fun things!!!! I had no idea they did the pumpkin maze down there! I didn't either until recently! We struggle to find things to do here. Everyone thinks oh The Bahamas…a paradise…but Nassau is 21 x 7 miles people…and the population of the entire country is less than 400,000…it begs boring lol. But to be honest, we could be better at actually getting involved in the activities that are here.